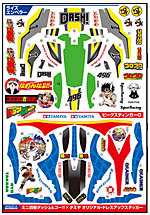 A5 size issue: Shogakukan large adult Colo comic! Colo Aniki No. 5. In addition to the comic newly written by the waist Tetsuhiro teacher “Bakuso Brothers Let’s & Go !! 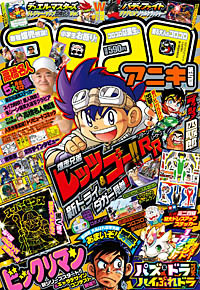 return Racers”, the latest work drawn by the cartoonist Hiroyuki Takei teacher of up-and-coming “Hyper Dash! Yonkuro” Ask me. In addition, four wheel drive mini team “TMFL Nitsu star driving dynamics laboratory” is also included. In addition to the introduction of the four wheel drive mini new product information and remodeling machine at spread color article in the preface, appendix comes with the “four wheel drive mini Big size sticker”. Is a mini four-wheel drive racer must-see one book. ⇒ “Colo Aniki” official site is here. ★ Duel Masters Overlord Den Gachi! ! This entry was posted in Future Releases on March 18, 2016 by admin.